Blepharitis is a bacterial infection of the skin at the base of the eyelashes. The eyelids become red and swollen as a result. Oily flakes are formed on the eyelashes and there is a burning sensation on the eyelids. 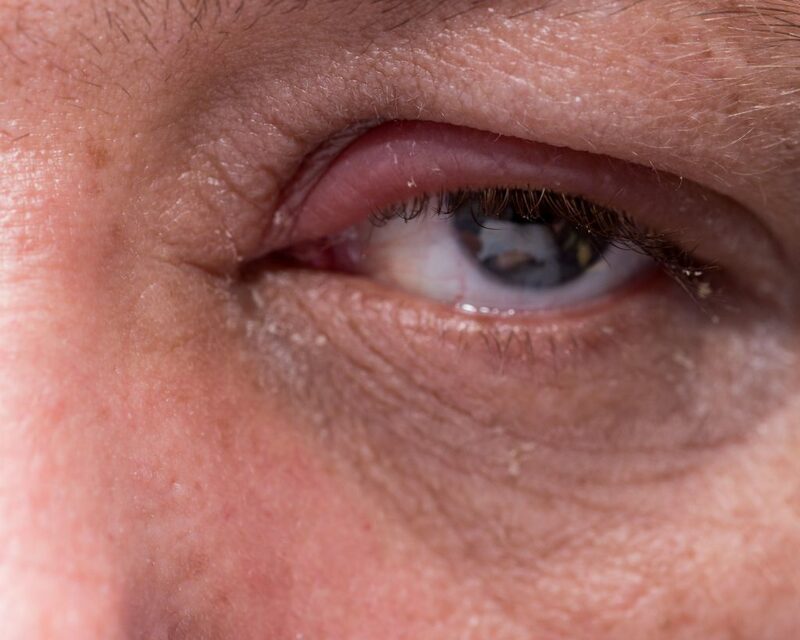 Blepharitis is common especially amongst people with dry eyes, oily skin or dandruff. Blepharitis results from the occurrence of a high number of bacteria on the skin at the base of the eyelashes. This results in the formation of flakes that appear like dandruff on the eyelashes. In some cases, the oil glands under the eyelids are also affected. There is currently no known cure for blepharitis. However, there are several things you can do to help in the management of the symptoms. Use a clean washcloth for this. Wet the cloth in warm water and wring it out. Close your eyes and place the cloth on them. Ensure that the cloth remains wet by continually wetting it and wringing out the warm water. Maintain this for at least 1 minute. This will help to loosen flakes and open up the clogged oil glands. Gently scrub the base of the eyelashes with a clean washcloth, lint-free pad or cotton swab dipped in warm water. Scrub your eyelids for at least 15 seconds at a time. This helps to get rid of flakes. If you’re experiencing swelling, dry eyes and redness, antibiotic eye drops may help provide you with relief. Ask your ophthalmologist about the possibility of getting a prescription. Antibiotic eye drops will help the oil glands to function properly. Antibiotic ointments can help to clear infections. Your ophthalmologist may prescribe an ointment that you can apply on your eyelids using a cotton swab. Your doctor may also prescribe an oral antibiotic to help clear infections. Keeping your hair, eyelids and skin clean goes a long way in managing blepharitis. Wash your eyelashes carefully every day. You can use a baby shampoo to enhance the cleaning without being harsh on the eyes. You may also use an antibacterial shampoo on your scalp, eyebrows and hair. Antibacterial sprays may also be used to control the growth of bacteria on the skin. Use a facial moisturizer after cleaning your face to help keep your dry eyelids moisturized. Check with your ophthalmologist for more on helpful products.